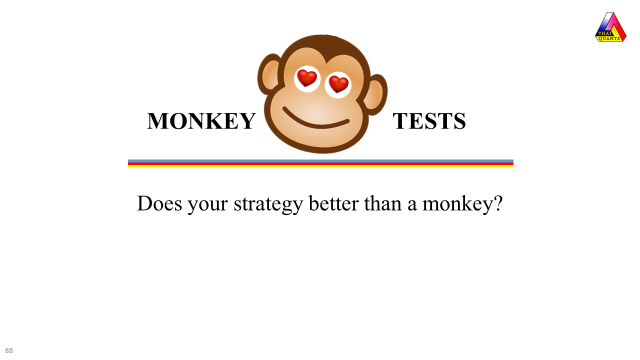 What is the reason to perform Monkey Test? To verify that your strategy (Buy and/or Sell Conditions) does better than random conditions. What are advantages of Monkey Tests? Suggest improvement in: Buy/Sell Conditions, Market Definition and Classification, and Stop Triggers.